Home News Events Comedy Kings back with So You Think You Can Laugh? Comedy Kings back with So You Think You Can Laugh? 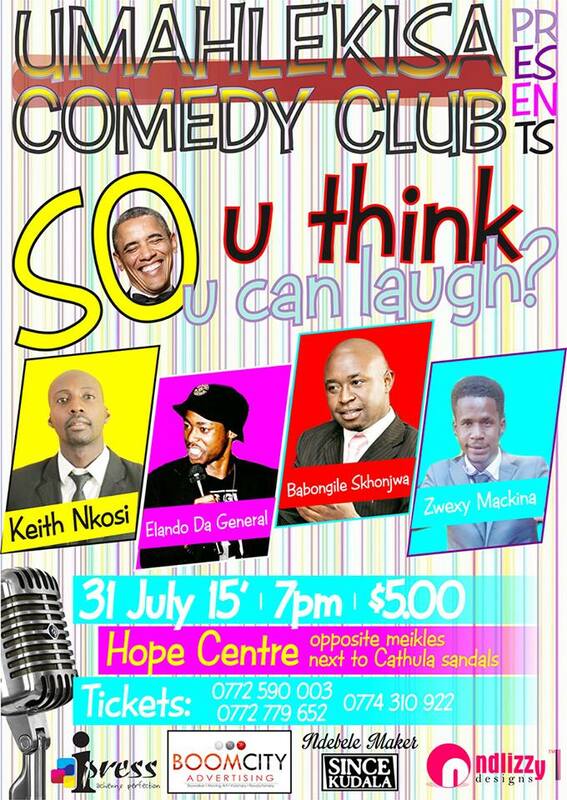 Friday July 31 all roads lead to Hope Centre Bulawayo for an Epic comedy night. The comedy masters are back again with another top drawer comedy show. Led by the khonapho-khonapho hit maker Babongile Sikhonjwa, Keith Nkosi who in his last perfomance when Umahlekisa turned 2 gave an amazing perfomance that till today lingers in our heads. The line up will also include Elando Da General and Zvexy Mackina. 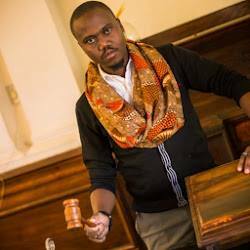 Contacted for commment the Director of the Club Ntando Van Moyo had this to say ” People should expect new stuff from all the comedians and suprise guest perfomances” He added that the show is a concept that they have been working. When asked why U.SA President Barack Obama is on the poster Moyo said “we thought his demands when visiting Kenya were comical”.